SOCA was founded in 1982. The organization was formed to provide appropriate soccer programming for the Charl ottesville and Albemarle community with the goal of fostering a greater love for a sport that had little history in the area. Initially offering youth recreational soccer programming, the organization has grown through the years to become the preeminent soccer provider in this region of Virginia. With soccer programming offered for young and old, novice to advanced players, SOCA now serves over 6,000 local soccer players seasonally. Programs are offered at various levels and are designed to serve anyone interested in the sport of soccer. SOCA’s community has also grown over time as well. In addition to the exponential growth of soccer players in the Charlottesville and Albemarle region, SOCA also now serves families and players in the Augusta County region. SOCA programs are offered and operated in the Staunton, Fishersville, and Waynesboro in addition to the original Charlottesville and Albemarle localities. Please take the time to read through our site and explore the various services and programs being offered currently. The original mission of the organization has not changed since it’s founding, however many of the strategies for achieving this mission have been adopted and implemented over years of existence. Please follow the link on the right hand side of the screen to learn more about SOCA’s Strategic Plan. You may also learn more about SOCA’s professional Staff, Board of Directors, Outreach Program, and Financial Assistance here as well. SOCA’s Staff and Board of Directors are dedicated to ensuring the positive experience of every SOCA member. It is our sincere hope that each participant enjoy their current activities and return for further involvement. 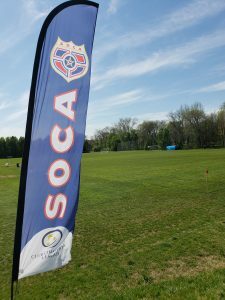 SOCA is here to provide the means for everyone to enjoy the world’s greatest game!